There are two types of sales managers: those who have hired a sales dud and those who will hire one! Hiring salespeople is like playing craps but the odds are worse. If you’re not going to hire right, you might just as well toss a coin and save yourself a lot of time. On the other hand, if you want to hire right, read this book. No, don’t just read this book, digest it. In this tightly written book, “Doctor” Salz give you the prescription for avoiding hiring headaches. Here, in an easy to read and easy to digest format, is the process for hiring people who can sell something other than themselves. The process not only outlines how to hire them, but tells you what you need to do to get them up to speed and making money for you. I’m a strong advocate of the process that Lee outlines because I’ve seen it work time and time again. It’s worked for others and it can work for you. Buy it. Read it. Profit from it. Brian Jeffrey, Sales Management Consultant, Quintarra Consulting Inc. Publicity can open doors to new sales, but it usually takes a talented and well-trained salesperson to make the sale. Hire Right, Higher Profits will show you how to get the right people onboard and train them well so you can profit. Dan Janal, president and founder, PRLEADS.com and author of Reporters Are Looking for YOU! Any company looking for a proven sales onboarding process should start with Hire Right, Higher Profits. Hiring the best candidate is only the beginning; the onboarding process that follows is what makes or breaks the success of both the salespeople and the company. Vincent Melograna, former Sales Training Manager, Oki Data Americas, Inc.
Lee Salz does it again! He blends practical advice with deep insights gained over years of sales management experience to give a treasure trove of information on what to do and not do when hiring sales professionals. Rick Olson, President/CEO, KRM Information Services, Inc.
Lee Salz has written the definitive tour de force resource for hiring and onboarding strategies in his new book Hire Right, Higher Profits. The book is a no-nonsense, in-your-face analysis of how flawed and outmoded hiring processes can bring your company, to its financial knees. Salz introduces his ‘revenue investment’ strategy for hiring and creating effective and successful sales people and sales teams. This powerful methodology creates a collaborative partnership between sales person and hiring manager, resulting in less turnover and greater success in meeting sales objectives. This book is a must-read for C-level executives as well as sales managers. It will forever change your corporate sales culture and provide a solid hiring process and roadmap for identifying those sales reps best aligned to help you meet your - and their - revenue goals. Babette N. Ten Haken, Founder & President, Sales Aerobics for Engineers ®, LLC,, author of Do YOU Mean Business? Anyone connected with sales will benefit from reading this book. Lee provides a compelling argument for investing in revenue rather than just hiring salespeople. In Hire Right, Higher Profits, Salz gives sales managers and C-level executives a road map for creating a successful sales force and protecting that investment in revenue. And every salesperson who wants to take his/her game to the next level will appreciate this straightforward path to meeting and beating sales expectations. Lorraine Howell, author of Give Your Elevator Speech a Lift! As a small business owner for over 20 years, I can tell you that trying to hire and onboard the right salesperson is the single most difficult task I face. 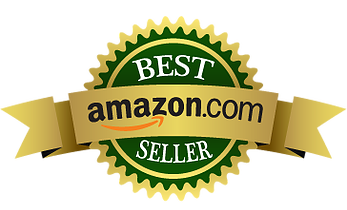 Lee's book provides you with step-by-step guide to implement this strategy, resulting in a highly successful and profitable sales force. I love the concept of 'Revenue Investment.' It's a game changer! 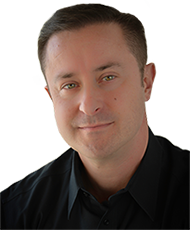 Steve Kloyda, Founder, The Prospecting Expert, Inc. This is a must read for anyone who has ever made a hiring mistake … and anyone concerned about making one. In a sea of books on ‘hiring right,’ this is the only one that goes beyond creative interviewing questions and includes the important and often overlooked topic of onboarding new hires effectively into their roles. 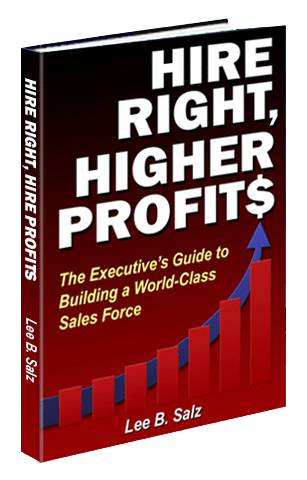 Hire Right, Higher Profits is the most complete guide to building a successful sales organization I have found in more than twenty years in business. Merit Gest, President & Professional Onboarding Specialist, Merit-Based Development, Inc. I have read only a few exceptional books on sales and Lee’s new book Hire Right Higher Profits has been added to that list. Every CEO, VP of Sales and hiring manager I work with will receive a copy. It is absolutely the best book I have ever read on the failures most companies have hiring salespeople and how to avoid them. Everyone deserves to have great salespeople and you will ... if you hire following Lee’s advice. Alice Heiman, CSO of Alice Heiman, LLC – Let’s Talk Sales! Hired and fired… It’s the revolving door on sales teams. Executives hire what they believe to be great salespeople, but the results never come – and the salespeople are let go. This perpetual cycle eradicates profits, makes revenue targets pipe dreams, and has sales leaders pulling out their hair in frustration. Despite these issues, executives continue to try to “hire great salespeople.” That three-word expression is exactly what Hire Right, Higher Profits is all about. Sales management strategist, Lee Salz begins the book by challenging readers with the $25,000 Revenue Test which most executives fail. Then, he hits readers between the eyes with the statement “there are no great salespeople” and offers proof of it! He also cautions those executives – who view the competition as their primary sales talent source – of its risks. Save 20% when buying here. PLUS, you receive FREE access to my sales onboarding course…an additional $99 value!